About 110,000 Canadians died in the 1914-1918 and 1939-1945 Wars (65,000 and 45,000 respectively); some were interred in Canada, but the vast majority lie buried abroad. Canadian infantrymen were on the Western Front in January 1915 and in March the 1st Canadian Division took part in the Battle of Neuve Chapelle. 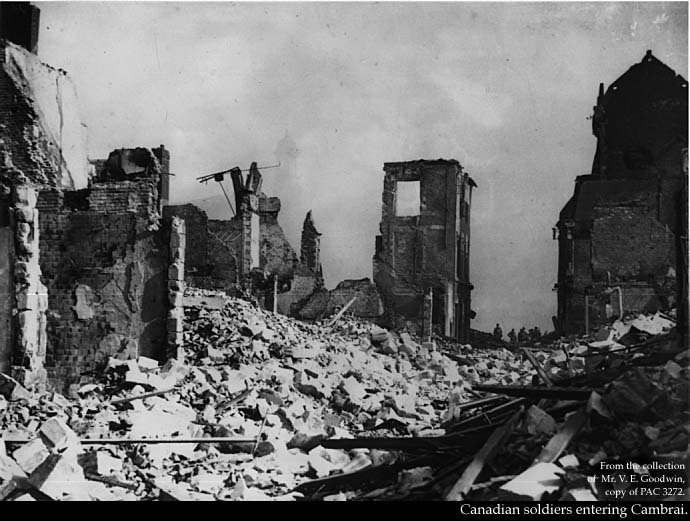 In April Canadians fought in the Second Battle of Ypres, where they were subjected to the Germans' first use of gas. When the 2nd Division arrived in France, the Canadian Corps was formed, later expanded by the addition of the 3rd Division. From April to August 1916 the corps fought in the defence of Ypres, until it moved to fight in the Battle of the Somme. On 9th April 1917 it captured Vimy Ridge, which had withstood all attacks for two years. Though this victory cost the Canadian Corps 10,000 casualties, it was certainly a great military success, and ensured that Vimy Ridge would later be chosen as the site of Canada's National Memorial. 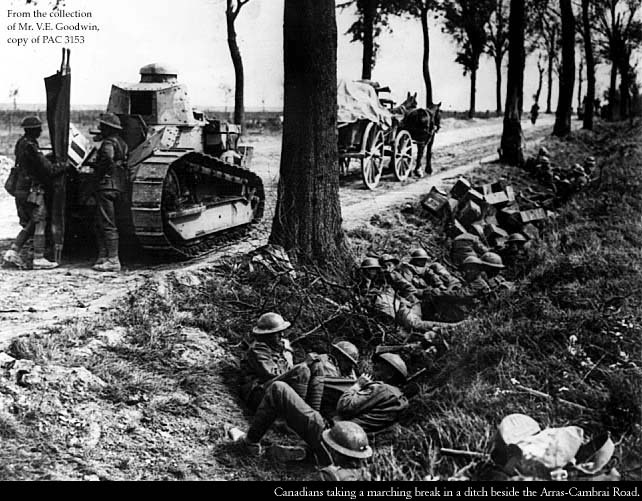 Canadian soldiers met with success in August 1917, taking Hill 70, north of Arras. After being transferred to the Ypres front, the Canadians took the previously impregnable objective of Passchendaele on 6th November 1917 suffering 15,000 casualties in the process. In March 1918 cavalry and motorized machine-gun units of the Canadian Corps helped hold the line at Amiens, when the Germans launched their last big offensive. Then the Canadians formed the spearhead of the thrust between Hourges and Villers-Bretonneux, afterwards returning to the Arras area. On 2nd September 1918, seven Canadians earned the Victoria Cross in exceptionally fierce fighting. The corps attacked across the Canal du Nord, forcing the Germans back to the Hindenburg Line, which was broken on the 27th of that month. On 9th October they took Cambrai. During the period between mid-August to mid October, the Canadians had suffered over 30,000 casualties killed, wounded, or captured. As events soon proved, Canadians excelled in aerial combat. In providing many members of the Royal Flying Corps, the Royal Naval Air Service and later the Royal Air Force, Canada made a great contribution in this field. More than 23,000 Canadian airmen served with British Forces and over 1,500 died. The Commonwealth's highest scoring airman to survive the war was a Canadian: Lieutenant Colonel W.A. Bishop VC, with 72 victories. Canadian naval participation in the 1914-1918 War was limited, as its newly formed navy possessed only two old cruisers. However, many thousands went to serve with the Royal Navy. 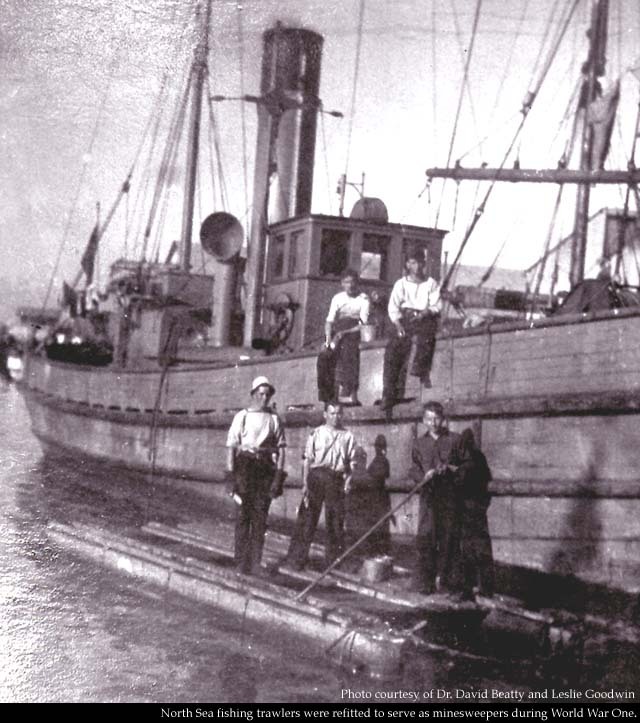 Fleets of Canadian trawlers and small craft carried out mine-sweeping and anti-submarine operations in coastal waters. The text on this page has been taken from Courage Remembered, by Kingsley Ward and Major Edwin Gibson.